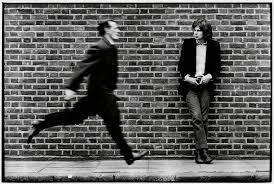 Today would have been, had his life not been so tragically cut short, the 70th birthday of the enigmatic, reclusive and ultimately beautiful talent of Nick Drake. Born on this day in 1948, Drake only made three albums and performed live on very few occasions yet left a legacy of great music that has influenced, and continues to do so, many performers right up to this day. 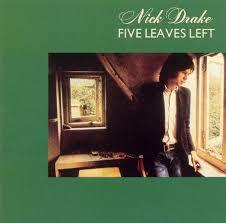 In 1971 Nick followed up Five Leaves Left with his second album, Bryter Layter, which, despite musical accompaniment from a variety of members of Fairport Convention, John Cale of The Velvet Underground and Mike Kowalski and Ed Carter who’d played with the Beach Boys, failed as a commercial record, selling less than 5,000 copies. Much of this may have been to do with Nick’s reluctance to tour, perform on radio or television or indeed subject himself to interviews in the music press, possibly and probably due to his deteriorating mental health. A regular user of marijuana, Nick had been in and out of psychotherapy eventually being prescribed anti-depressants to combat his potential schizophrenia. Nick, whilst trying to take measures to deal with his issues, became more and more withdrawn and unable to cope with life itself; a story detailed very sympathetically but truthfully in the excellent book, compiled by his actress sister Gabrielle, ‘Remembered For Awhile’. 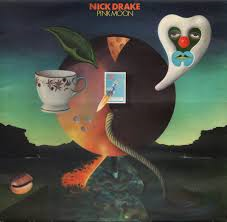 Despite his ongoing and worsening issues that resulted in Nick moving back to the family home with his parents, he still was able to record his third album, Pink Moon. This was a much stripped back affair featuring just Nick and his acoustic guitar, and a small piano interlude on the title track. Whilst associated with Nick’s crippling depression, Drake wrote this album in periods of better health; indeed friends and associates claimed Nick couldn’t write when in the depths of his depression and indeed Nick himself commented, in private, about how proud he was of the album. Again, like Bryter Layter before it, Pink Moon failed to sell more than 5000 copies even though it was also released in the US. Nick was never to record a complete album again although over the years many demo’s, rough cuts and incomplete song recordings, including some with his mother, Molly, have sprung up and been released to the great joy of a burgeoning fan base who found out about Nick after Pink Moon was used in a car advert and, for me, after hearing a documentary by film star and Drake fan Brad Pitt on Radio 2. 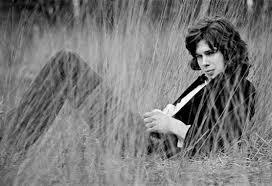 For sure, Nick Drake’s fame, and with it the influence he has had on many singer songwriters over the last 40 years, came after he tragically died on the 25th November 1974 at the age of 26. 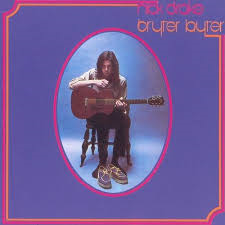 But what is certain is that for such a brief career, and one which was barely recognised while he was alive, Nick Drake is an artist of some importance, a creator of musical beauty, a weaver of dreams and a talent to be treasured.